The controversial arrangements, expected to cost UK taxpayers hundreds of millions of pounds in earmarked contributions, was supposed to alleviate pressures on EU member states such as Greece, where the migrant influx has left infrastructure close to collapse. 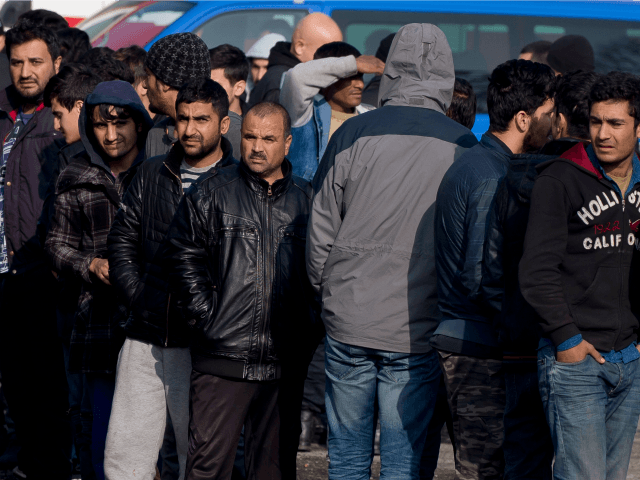 However while the scheme was originally intended to see a roughly equal number of migrants transferred between the EU and Turkey, more than three times as many have been forwarded to the continent as have been returned. Despite an initial drop in the number of migrants crossing from Turkey illegally, numbers have been on the rise ever since a failed putsch against the republic’s Islamist president, Recep Tayyip Erdoğan. The increasingly aggressive and dictatorial AKP leader, who has shot down a Russian warplane, risked war with Iraq, and invaded Syria in recent months, has threatened to “open the gates” and scupper the deal entirely if his demands with respect to money, visa-free travel, and EU accession talks are not met. Erdoğan has been in dispute with Brussels since his post-coup crackdown turned into a purge, with thousands of academics, judicial officials, and political opponents thrown in prison or removed from their posts. Criticism of this “key NATO ally” has been muted, but the repressive measures have made it politically impossible to advance controversial plans for the country to be admitted to the EU as a full member, much to the Turkish government’s fury. Even with the Turkish deal in place, people-smugglers have simply refocused their operations on the Libyan route, with record numbers arriving in Italy by boat in 2016. Intelligence services in Austria fear that as many as 15 million migrants could be preparing to make the crossing by this route.